The summertime is full of fun activities to do with your family such as swimming, hiking, outdoor games, fireworks and events. When the winter comes, it can be hard to keep your kids and spouse entertained. Don’t let the cold weather keep your family at home. Here are ten family-friendly winter activities everyone will enjoy. 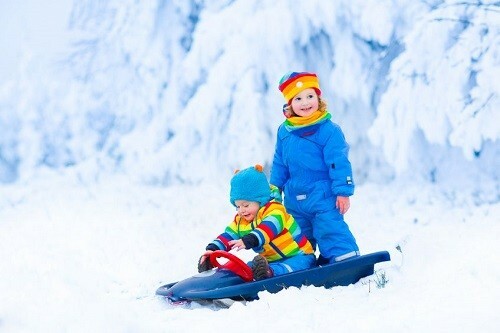 Sledding is one of the most awesome activities for kids of almost all ages. 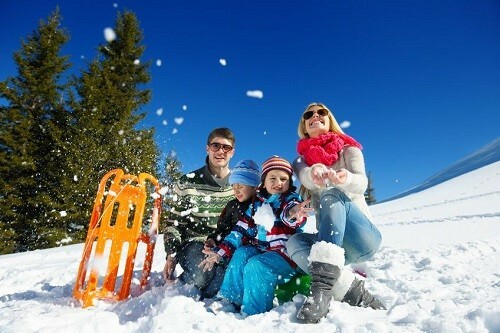 If you live in a snowy climate, pick up a couple sleds or snow tubes and find a big hill to climb. Sledding (or snow tubing) is fun and doesn’t require a lot of equipment or skill. Even little kids can do it, and they will enjoy it just as much as you. There are many sleds for babies that will keep your little one safe and cozy, so make sure you buy the best one.